The largest investments should be carried out within Kolubara basin, i.e. it should be invested in the development of open pit mines in the eastern part of the basin and opening of new open pits “Radljevo” and Field “G”. A new draft of the Law on Mining and Geological Researches has been prepared. Lignite coal basins Kolubara and Kostolac coal basins are the most important potential of energy resource of “Electric Power Industry of Serbia” today and there is no doubt that the coal from these basins in the long run is the primary raw material for the production of electricity in Serbia – says Tomislav Šubaranović, State Secretary in the Ministry of Natural resources, Mining and Spatial Planning. He points out that in EPS, as a holder of the electricity production in Serbia, about 65 % of annual production is based on lignite combustion, of which over 75 % of the Kolubara’s lignite, and the other part is from Kostolac basin. More than 90 % of the total annual coal production in Serbia is used for electricity production, so the development of coal exploitation in the mining basins of EPS is tightly bounded by the strategic planning and implementation of development of Kostolac and Kolubara basins. What do you think about the situation in this department, i.e. in the Mining Basin Kolubara and Open Pit Mines in Kostolac? Analysis of the current situation clearly shows that the process of strategic planning and implementation of strategic plans do not give the expected results. It is an undeniable fact that a non-strategic approach of the previous management of MB “Kolubara” in the development of some open pit mines and MB Kolubara on the whole caused the business crisis. That crisis is manifested by very difficult production and fulfillment of production plans in all OPMs, except in OPM “Tamnava West Field”. Situation is significantly better in MB Kostolac. Regarding MB Kostolac, it should be pointed out its significantly better deposit conditions and entire surroundings, but the timely strategic planning and implementation plan shouldn’t be ignored. The current management of MB “Kolubara” successfully deals with inherited problems that are reflected primarily in the state of coal mining development in the eastern part of the basin, where there are significant problems in expropriation, relocation of infrastructure facilities and the development of all the open pit mines. Investment in the mining sector, particularly within EPS, was quite forgotten. What should be done to increase the level of investment and is the economic profitability the only criteria? Investment in the mining sector was quite forgotten for many years. First reason for such situation is a small investment potential of the state which owns the largest coal and copper mines. The second reason is a small investment potential of most private investors who have privatized mining companies in Serbia, with the exception of mines that operate within the cement industry and some non-metal mines. However, the fact that, in the recent years, the state has made significant efforts and initiated investments in the production of coal surface mining, as well as in RTB Bor, must be emphasized. Now, OPM “Drmno”, as the holder of coal production in Kostolac basin, regarding the investments, is almost completed, while in MB Kolubara significant investments were launched last year, both in the development of existing mines and the opening of new open pit mines. Those investments, in terms of the entire mining sector, are not enough and in the future, except for the intensive promotion of the mining sector, the initiated activities must be completed for the legal and institutional framework. The position of the Ministry of Natural Resources, Mining and Spatial Planning is that economic criteria cannot and will not be the only one, but every investment will always be reviewed with the aspect of sustainable mining. In addition to the economic criteria, social and environmental criteria for the investment will be accepted. What largest investment should be made in this sector in the future, both in the EPS, and out of it? Are there any investors interested in investing in mining? The largest investments should be implemented in the Kolubara basin, i.e. in the development of open pit mines in the eastern part of the basin and opening of new open pit mines “Radljevo” and Field “G” in the western part of the basin. These investments should be implemented by the state through EPS. According to the draft of the energy development strategy of the Republic of Serbia, the opportunities for opening of new coal mines and thermal power plants in Štavalj, Kovin and west Kostolac basin are open, which includes external investors, and joint investments. In the final stage of the geological exploration of other minerals (copper, phosphates, borates, lithium, gold, etc) the valorization through the opening of new mines is also expected soon. Those investments will be carried out by the large foreign mining companies, by themselves or through the joint ventures with the state. The interest is there, but it can be higher if we continue with the successful promotion of the mining sector. The expropriation process was the main obstacle for the development of the open pit mines in “Kolubara”. How to improve this process so that everyone is satisfied, the citizens and the state? The process and dynamics of the expropriation are the long standing continuous problem in Kolubara’s basin which has culminated while implementation of the expropriation and relocation of the cemetery Vreoci and settlement Vreoci. One of the main reasons for this is certainly the untimely overview of the sociological aspects of development of the open pit mines and total Kolubara basin. Designing of the strategic plans, such as Long-term program of exploitation in Kolubara’s basin and Development Strategy of this basin, should perceive the dynamic of the expropriation in the following period, and also its sociological aspect. The result will be the satisfaction of all the stakeholders. As opposed to Kolubara’s basin, the Kostolac basin problems related to the expropriation do not exist, because it is generally expropriated the agricultural and other uninhabited soil. This problem exists all the activities of the mining sector, so it is necessary to change the existing Law on mining and geological research and Law on Concession. 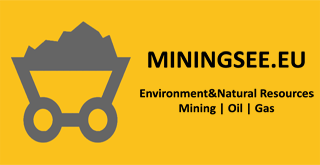 What has been done to change the regulative in the mining sector and what are the future plans? In the mining sector, a new draft of Law on geological research and mining was prepared, and, last month, was posted on the website of the Ministry of Natural Resources, Mining and Spatial Planning, and simultaneously, it has been worked intensively on designing the numerous of acts. It is largely worked on the innovation of the Management Strategies of the Mineral Resources of Republic of Serbia up to 2030, which will be named Management Strategy for geological resources of Republic of Serbia and will be the basis for the further activities in the mining sector. The adequate support will also give the Energy Development Strategy of Republic of Serbia. Whether and why will the lignite remain the main element for electricity production in Serbia in future, even though many non-governmental organizations seek from the foreign creditors to abolish the investment in coal? Lignite remains the essential element for electricity production in Republic of Serbia in the future. Intentions, and more and more the requirements of the European Union, are to provide the energy independence for all countries. At the same time the energy independence means that the state rationally uses its own energy resources to the greatest extent possible, regardless of whether it is the renewable or non-renewable sources. Considering the amount of the stipulated geological lignite reserves in Serbia, we should not have the dilemma that our primary energy resource in this century is lignite. As the primary source of energy on the worldwide scale, the lignite is the most cost effective resource. On the other hand, it is the largest domestic resource for electricity production. Serbian Energy Development Strategy reviewed this issue in accordance with the sustainable development of the state with respect to the economic, environmental and sociological stand. The closure of the old, economically and environmentally unsustainable TPP is anticipated, as well as the increase of the energy and ecological efficiency of the existing units and the construction of the new alternative capacities with contemporary advanced technologies. The increase of the coal production is very mild and its combustion will to a much smaller extent endanger the environment than in the past. In addition to increasing the energy efficiency, the significant increase of the participation of the renewable energy sources is envisaged. It should always be careful, because the price of the electricity paid by the customer, not the state, form the renewable resources, gas and oil, is several times higher in comparison to coal. What about the other Mineral resources in Serbia? Previously, we discussed about many interested investors, is there any new projects in the future? There are a number of investors interested in opening of “Radljevo”, mine “Štavalj” with the construction of the new TPP of 350 MW, opening of the mine “Novi Kovin” with construction of TPP of approximately 600 – 700 MW. The investors are interested in exploitation and processing of the oil shale. In the next two to three years, we expect the opening of the jadarite mine at Jadran near Loznica, gold and copper mine in the vicinity of Bor and borate mine in Pobrđe near Raška. Mineral Resources Management Strategy of Republic of Serbia, which is in the process of innovation, clearly indicated at the significant mineral resource potential and it was indicated that the mining sector may have the share of more than five percent of gross domestic product up to 2020.